Ahhhh...spring is here! 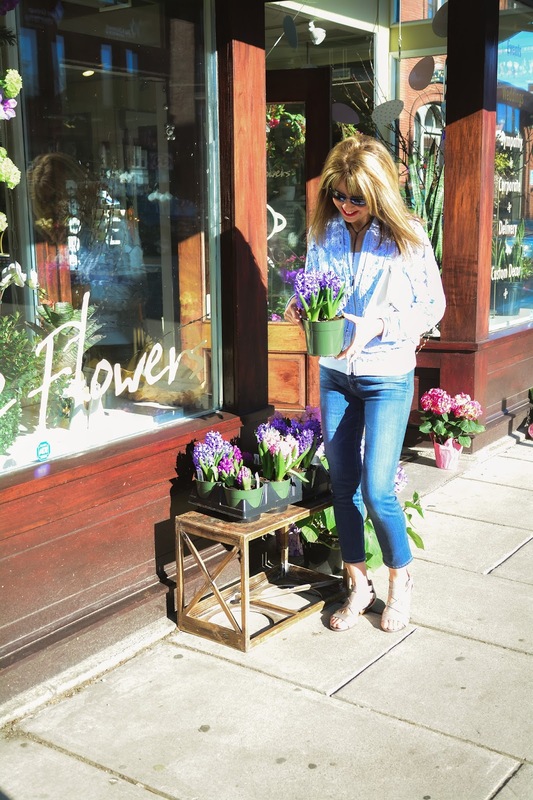 I love everything about spring--the warm weather, flowers, sunshine and SPRING CLOTHES! 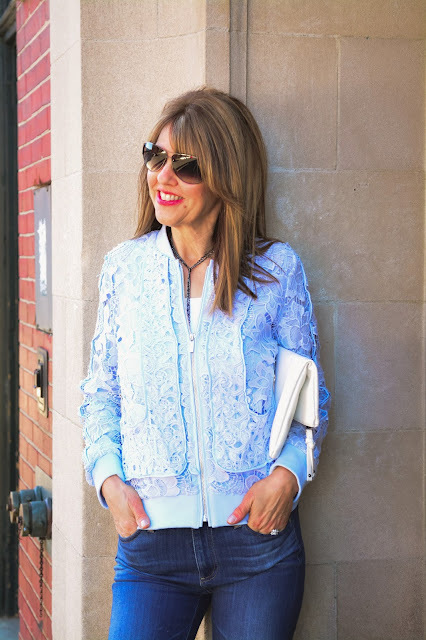 I love that this jacket mixes feminine with a little edgy. I'm wearing it with denim, but it would also look fabulous with white jeans or with a dress or skirt. Chico's also makes the best tanks. I need one in every color--they're so comfy, have the perfect neckline, and don't roll up! Similar white clutch HERE and HERE (super cute!). This lariat necklace is from my friends at SKM Collection. Everyone jokes that I should buy stock in Sofft because I recommend the line so often. I genuinely LOVE their shoes because they're incredibly comfy! Find these HERE. Most of my jeans are ankle length. I find them the most versatile as they go with flats, heels or even tucked into boots. Here are some similar ankle jeans HERE HERE and HERE. Hope you had a wonderful Memorial Day weekend! The Chico's tank and jacket and the SMK Collection necklace were gifted. Links in this post generate a very small commission, but rest assured I only post what I love! Oh gosh this is all so cute! I really need some of their tanks, they are fabulous! That jacket is crazy cute! Heading over to check all this out now! Happy Wednesday! LOL you crack me up Cheryl. But it is a great jacket and "clothes regret" is not fun.